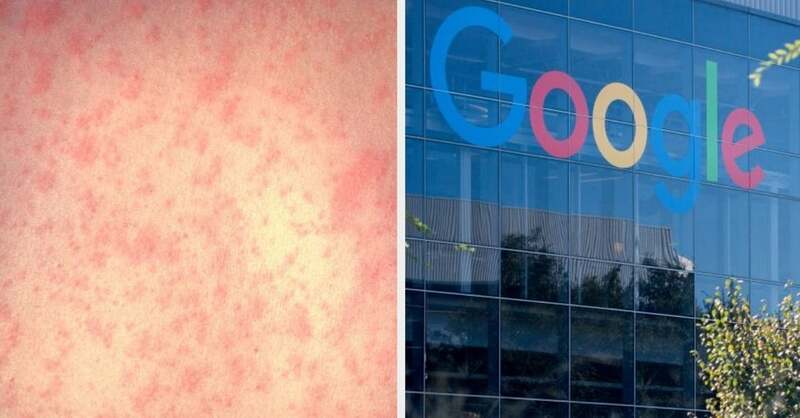 In the midst of a historic US measles outbreak, at least one Google employee walking around the tech giant’s main Silicon Valley campus has been diagnosed. Law enforcement officials across the country have been seeking information from a Google database called Sensorvault — a trove of detailed location records involving at least hundreds of millions of devices worldwide, The New York Times found. Though the new technique can identify suspects near crimes, it runs the risk of sweeping up innocent bystanders, highlighting the impact that companies’ mass collection of data can have on people’s lives. The Sensorvault database is connected to a Google service called Location History. The feature, begun in 2009, involves Android and Apple devices. Location History is not on by default. Google prompts users to enable it when they are setting up certain services — traffic alerts in Google Maps, for example, or group images tied to location in Google Photos. If you have Location History turned on, Google will collect your data as long as you are signed in to your account and have location-enabled Google apps on your phone. The company can collect the data even when you are not using your apps, if your phone settings allow that. Google says it uses the data to target ads and measure how effective they are — checking, for instance, when people go into an advertiser’s store. The company also uses the information in an aggregated, anonymized form to figure out when stores are busy and to provide traffic estimates. And those who enable Location History can see a timeline of their activities and get recommendations based on where they have been. Google says it does not sell or share the data with advertisers or other companies. Yes. Google can also gather location information when you conduct searches or use Google apps that have location enabled. If you are signed in, this data is associated with your account. The Associated Press reported last year that this data, called Web & App Activity, is collected even if you do not have Location History turned on. It is kept in a different database from Sensorvault, Google says. To see some of the information in your Location History, you can look at your timeline. This map of your travels does not include all of your Sensorvault data, however. Raw location data from mobile devices can be messy and sometimes incorrect. But computers can make good guesses about your likely path, and about which locations are most important. This is what you see on your timeline. To review all of your Location History, you can download your data from Google. To do that, go to Takeout.Google.com and select Location History. You can follow a similar procedure to download your Web & App Activity on that page. Your Location History data will appear in computer code. If you can’t read code, you can select the “JSON” format and put the file into a text editor to see what it looks like. Yes. The process varies depending on whether you are on a phone or computer. In its Help Center, Google provides instructions on disabling or deleting Location History and Web & App Activity. For years, police detectives have given Google warrants seeking location data tied to specific users’ accounts. But the new warrants, often called “geofence” requests, instead specify an area near a crime. Google looks in Sensorvault for any devices that were there at the right time and provides that information to the police. Google first labels the devices with anonymous ID numbers, and detectives look at locations and movement patterns to see if any appear relevant to the crime. Once they narrow the field to a few devices, Google reveals information such as names and email addresses. At the Google Cloud Next Conference, the cloud provider announced the general availability of Anthos, a multi-cloud platform based on Google's Cloud Services Platform. One member resigned and two more are under fire. It’s only a week old. Just a week after it was announced, Google’s new AI ethics board is already in trouble. 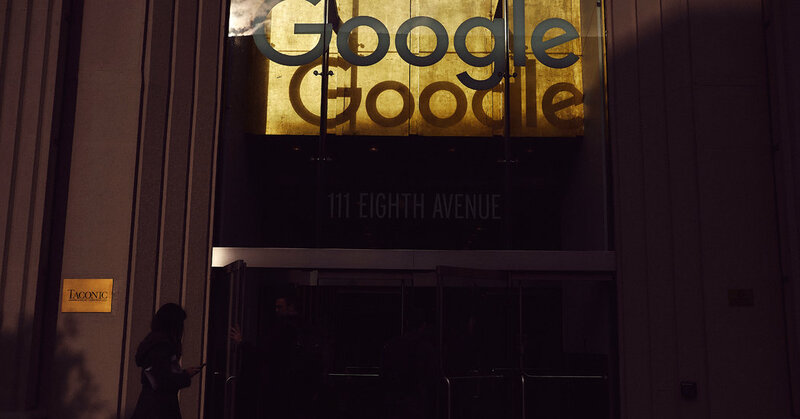 The board, founded to guide “responsible development of AI” at Google, would have had eight members and met four times over the course of 2019 to consider concerns about Google’s AI program. Those concerns include how AI can enable authoritarian states, how AI algorithms produce disparate outcomes, whether to work on military applications of AI, and more. Of the eight people listed in Google’s initial announcement, one (privacy researcher Alessandro Acquisti) has announced on Twitter that he won’t serve, and two others are the subject of petitions calling for their removal — Kay Coles James, president of the conservative Heritage Foundation think tank, and Dyan Gibbens, CEO of drone company Trumbull Unmanned. Thousands of Google employees have signed onto the petition calling for James’s removal. Altogether, it’s not the most promising start for the board. The whole situation is embarrassing to Google, but it also illustrates something deeper: AI ethics boards like Google’s, which are in vogue in Silicon Valley, largely appear not to be equipped to solve, or even make progress on, hard questions about ethical AI progress. A role on Google’s AI board is an unpaid, toothless position that cannot possibly, in four meetings over the course of a year, arrive at a clear understanding of everything Google is doing, let alone offer nuanced guidance on it. There are urgent ethical questions about the AI work Google is doing — and no real avenue by which the board could address them satisfactorily. 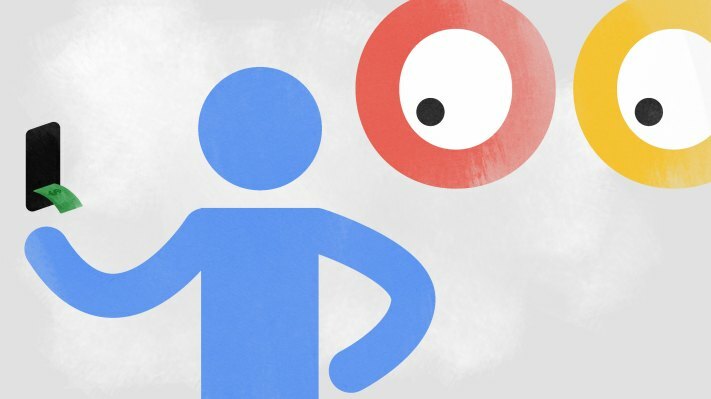 From the start, it was badly designed for the goal — in a way that suggests Google is treating AI ethics more like a PR problem than a substantive one. From the start, the board attracted criticism. Many people were outraged about the inclusion of Kay Coles James, the Heritage Foundation president. 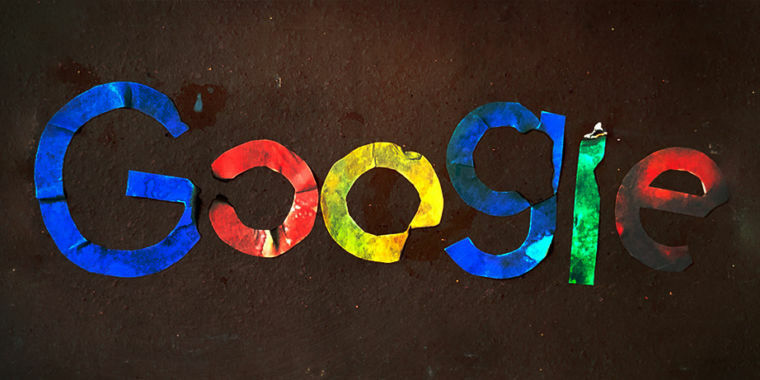 “In selecting James, Google is making clear that its version of ‘ethics’ values proximity to power over the wellbeing of trans people, other LGBTQ people, and immigrants,” argues an open letter signed by more than 1,800 Google employees. A particular cause for concern was James’s stance that the trans rights movement is seeking to “change the definition of women to include men” in order to “erase” women’s rights. “Google cannot claim to support trans people and its trans employees — a population that faces real and material threats — and simultaneously appoint someone committed to trans erasure to a key AI advisory position,” concludes the open letter. Others called on Google to remove Dyan Gibbens from the board. Gibbens is the CEO of Trumbull Unmanned, a drone technology company, and she previously worked on drones for the US military. A year ago, Google employees were outraged when it was revealed that the company had been working with the US military on drone technology as part of so-called Project Maven. With employees resigning in protest, Google promised not to renew Maven. Collaborating with the military on drone technology remains a touchy subject internally, and one where many Google employees don’t have a lot of trust in Google leadership. But the collapse of Google’s panel and the controversy over its make-up almost obscures a deeper problem: This was not an entity set up to do a good job. Google’s announcement states that the panel would serve over the course of 2019, and meet four times. That’s just not very much time together, given the complexity of the issues members will be advising on. It’s not enough time to hear about even a fraction of Google’s ongoing projects, which suggests the board won’t be giving advice on those. Second, the board positions are unpaid. Some have contended that a paid oversight committee would be worse, because board members would be indebted to Google, but others think unpaid board positions advantage the independently wealthy. These critics see the unpaid positions as another sign that Google isn’t taking the AI ethics board very seriously, and that the company doesn’t expect members to spend much time on it, either. Next, the ethics panel — as has been the case with ethics panels at other top tech companies — does not have the power to do anything. Google says “we hope this effort will inform both our own work and the broader technology sector,” but it’s very unclear who, if anyone, at Google will rely on these recommendations and which decisions the board will get to make recommendations about. Overall, it’s not clear whether the panel will be used for guidance on internal Google matters at all. What it definitely will be used for is PR. Panel member Joanna Bryson, defending Coles James’s inclusion on Twitter, said, “I know that I have pushed [Google]before on some of their associations, and they say they need diversity in order to be convincing to society broadly, e.g. the GOP.” This makes sense as a strategic priority for Google, whose products, of course, are used by nearly everyone. But if Google’s goal with the panel is to “be convincing to society broadly” without necessarily changing anything the company does, that’s not really AI ethics — it’s AI marketing. And fundamentally, that’s what’s wrong with AI ethics panels. Google is not the only tech company to have one, and while Microsoft’s AI ethics committee and Facebook’s center for ethics research have not been embroiled in quite as much drama, they don’t have official decision-making power, either. Ethical deployment of powerful emerging technologies involves tough decisions. Will a company work with Immigration and Customs Enforcement (ICE)? Or with the Chinese government on technology that aids it in its ongoing, horrifying campaign to imprison a million Uighurs? If a facial recognition tool works better on white Americans than black Americans, what does it mean to fairly deploy it? If AI is creating and exacerbating inequalities, what’s the plan to tackle them? If a line of AI research looks dangerous — if some experts are warning it could have catastrophic effects for the world — will Google pursue it anyway? “The frameworks presently governing AI are not capable of ensuring accountability,” a review of AI ethical governance by the AI Now Institute concluded in November. All of those calls have to be made at the highest level of the company. Google quite reasonably doesn’t want to give control of these decisions to outsiders, but that means that the people tasked with providing guidance on AI ethics are removed from the context where key AI policy decisions will happen. A better panel would contain both decision makers at Google and outside voices; would issue formal, specific, detailed recommendations; and would announce publicly whether Google followed them. Neither Google nor anyone else appears actually comfortable with meaningful external oversight. Neither Google nor anyone else seems to have a principled or systematic way to handle the power it has stumbled into. That’s why companies are formulating these panels with goals like “be convincing to society broadly” — as Google aimed for with the inclusion of James — rather than “review the process for approving collaborations with the U.S. military.” The brouhaha has convinced me that Google needs an AI ethics board quite badly — but not the kind it seems to want to try to build. Machine precision enables this robot to throw objects through the air with the greatest of ease. For marketers, the Gmail AMP for Email effort could create more interesting pitches and outreach programs with customers. Customer service via email could also be streamlined. Dunford said he was concerned that the work Google was doing with China on AI was undermining the U.S military. Joint Chiefs Chairman Gen. Joseph Dunford said Thursday that he would likely be meeting next week with Google executives on his concerns that the work Google was doing with China on artificial intelligence and other technologies was undermining the U.S military. "This is not about me and Google, this about us looking at the second and third order effects of our business ventures in China [and]the impact itʼs going to have on U.S. ability to maintain a competitive military advantage and all that goes with it," Dunford said. Dunford said he had general concerns about other U.S. business ventures in China, but "In the case of Google, they were highlighted because they have an artificial intelligence venture in China." U.S. companies must realize that in doing business with China, "they are automatically required to have a cell of the Chinese Communist Party (CCP) in that company and that itʼs going to lead to that intellectual property from that company finding its way to the Chinese military," Dunford said. "Thereʼs a distinction without a difference between the CCP and the government and the Chinese military." Historically, one of the reasons for the U.S. maintaining a military advantage over other nations has been enduring partnerships between the Pentagon and industry, and Chinese President Xi Jinping has taken a similar path in Chinaʼs effort to erase the U.S. advantage, Dunford said. Unless precautions are taken, U.S. business ventures in China could "enable the Chinese military to take advantage of the technology developed in the United States," Dunford said. The remarks at the Atlantic Council event echoed those expressed by Dunford and Acting Defense Secretary Patrick Shanahan at a Senate Armed Services Committee hearing last week on Google and other firms doing business in China while showing reluctance to work with the U.S. military. Last year, Google announced that it would not renew a contract with the Pentagon for artificial intelligence work, following protests from employees who charged that the technology could be used for lethal purposes. At the Senate hearing, Shanahan said that Google has shown "a lack of willingness to support DoD programs." He added that China often uses technology developed in the private sector for military purposes. 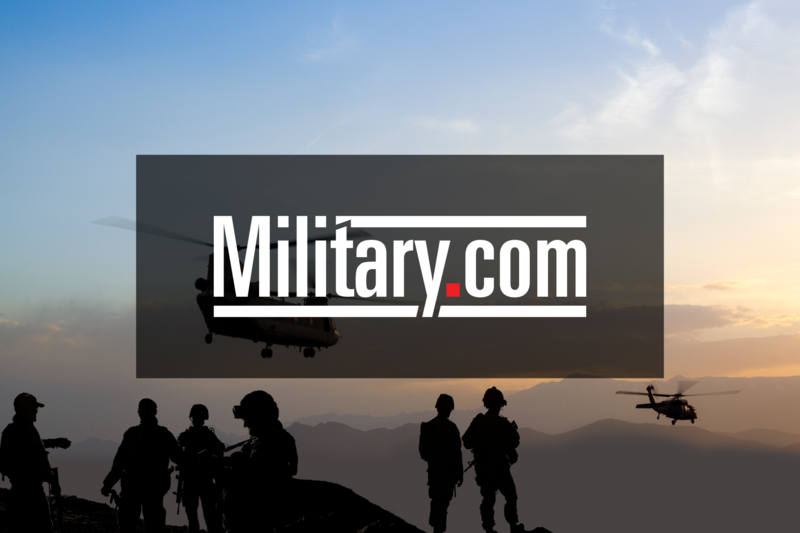 "The technology that is developed in the civil world transfers to the military world; itʼs a direct pipeline," Shanahan said. Technology companies, lawmakers, privacy advocates, and everyday consumers likely disagree about exactly how a company should go about collecting user data. But, following a trust-shattering move by Google last month regarding its Nest Secure product, consensus on one issue has emerged: Companies shouldn’t ship products that can surreptitiously spy on users. Failing to disclose that a product can collect information from users in ways they couldn’t have reasonably expected is bad form. It invades privacy, breaks trust, and robs consumers of the ability to make informed choices. While collecting data on users is nearly inevitable in today’s corporate world, secret, undisclosed, or unpredictable data collection—or data collection abilities—is another problem. A smart-home speaker shouldn’t be secretly hiding a video camera. A secure messaging platform shouldn’t have a government-operated backdoor. And a home security hub that controls an alarm, keypad, and motion detector shouldn’t include a clandestine microphone feature—especially one that was never announced to customers. And yet, that is precisely what Google’s home security product includes. 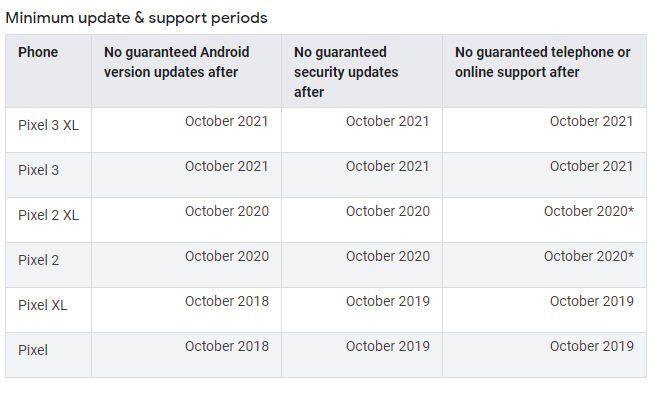 Last month, Google announced that its Nest Secure would be updated to work with Google Assistant software. Following the update, users could simply utter “Hey Google” to access voice controls on the product line-up’s “Nest Guard” device. 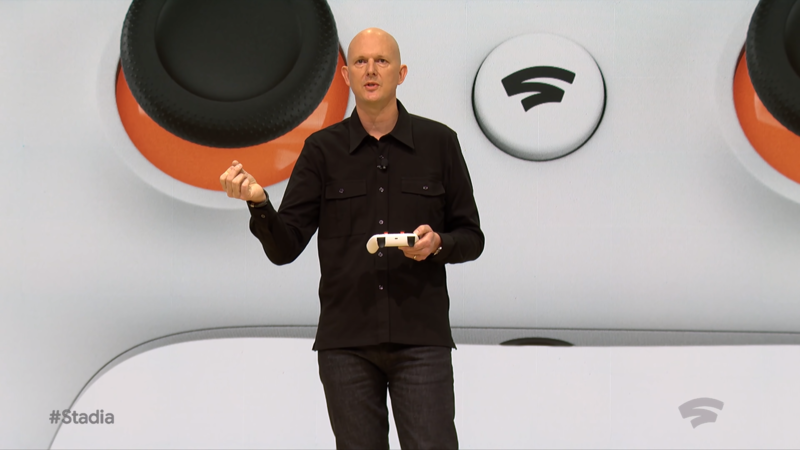 The main problem, though, is that Google never told users that its product had an internal microphone to begin with. Nowhere inside the Nest Guard’s hardware specs, or in its marketing materials, could users find evidence of an installed microphone. Customers, academics, and privacy advocates balked at this explanation. “This is deliberately misleading and lying to your customers about your product,” wrote Eva Galperin, director of cybersecurity at Electronic Frontier Foundation. “Oops! We neglected to mention we’re recording everything you do while fronting as a security device,” wrote Scott Galloway, professor of marketing at the New York University Stern School of Business. The Electronic Privacy Information Center (EPIC) spoke in harsher terms: Google’s disclosure failure wasn’t just bad corporate behavior, it was downright criminal. Days later, the US government stepped in. The Senate Select Committee on Commerce sent a letter to Google CEO Sundar Pichai, demanding answers about the company’s disclosure failure. Whether Google was actually recording voice data didn’t matter, the senators said, because hackers could still have taken advantage of the microphone’s capability. “As consumer technology becomes ever more advanced, it is essential that consumers know the capabilities of the devices they are bringing into their homes so they can make informed choices,” the letter said. Collecting user data is essential to today’s technology companies. It powers Yelp recommendations based on a user’s location, product recommendations based on an Amazon user’s prior purchases, and search results based on a Google user’s history. Collecting user data also helps companies find bugs, patch software, and retool their products to their users’ needs. But some of that data collection is visible to the user. And when it isn’t, it can at least be learned by savvy consumers who research privacy policies, read tech specs, and compare similar products. Other home security devices, for example, advertise the ability to trigger alarms at the sound of broken windows—a functionality that demands a working microphone. Google’s failure to disclose its microphone prevented even the most privacy-conscious consumers from knowing what they were getting in the box. It is nearly the exact opposite approach that rival home speaker maker Sonos took when it installed a microphone in its own device. In 2017, Sonos revealed that its newest line of products would eventually integrate with voice-controlled smart assistants. The company opted for transparency. While this function has upset some Sonos users who want to turn off the microphone light, the company hasn’t budged. A Sonos spokesperson said the company values its customers’ privacy because it understands that people are bringing Sonos products into their homes. Adding a voice assistant to those products, the spokesperson said, resulted in Sonos taking a transparent and plain-spoken approach. Now compare this approach to Google’s. Consumers purchased a product that they trusted—quite ironically—with the security of their homes, only to realize that, by purchasing the product itself, their personal lives could have become less secure. This isn’t just a company failing to disclose the truth about its products. It’s a company failing to respect the privacy of its users. A microphone in a home security product may well be a useful feature that many consumers will not only endure but embrace. In fact, internal microphones are available in many competitor products today, proving their popularity. But a secret microphone installed without user knowledge instantly erodes trust. As we showed in our recent data privacy report, users care a great deal about protecting their personal information online and take many steps to secure it. To win over their trust, businesses need to responsibly disclose features included in their services and products—especially those that impact the security and privacy of their customers’ lives. Transparency is key to establishing and maintaining trust online. Voice recognition is a standard part of the smartphone package these days, and a corresponding part is the delay while you wait for Siri, Alexa or Google to return your query, either correctly interpreted or horribly mangled. Google’s latest speech recognition works entirely offline, eliminating that delay altogether — though of course mangling is still an option. The delay occurs because your voice, or some data derived from it anyway, has to travel from your phone to the servers of whoever operates the service, where it is analyzed and sent back a short time later. This can take anywhere from a handful of milliseconds to multiple entire seconds (what a nightmare! ), or longer if your packets get lost in the ether. Why not just do the voice recognition on the device? There’s nothing these companies would like more, but turning voice into text on the order of milliseconds takes quite a bit of computing power. It’s not just about hearing a sound and writing a word — understanding what someone is saying word by word involves a whole lot of context about language and intention. Your phone could do it, for sure, but it wouldn’t be much faster than sending it off to the cloud, and it would eat up your battery. But steady advancements in the field have made it plausible to do so, and Google’s latest product makes it available to anyone with a Pixel. [IMG]Google’s work on the topic, documented in a paper here, built on previous advances to create a model small and efficient enough to fit on a phone (it’s 80 megabytes, if you’re curious), but capable of hearing and transcribing speech as you say it. No need to wait until you’ve finished a sentence to think whether you meant “their” or “there” — it figures it out on the fly. So what’s the catch? Well, it only works in Gboard, Google’s keyboard app, and it only works on Pixels, and it only works in American English. So in a way this is just kind of a stress test for the real thing. “Given the trends in the industry, with the convergence of specialized hardware and algorithmic improvements, we are hopeful that the techniques presented here can soon be adopted in more languages and across broader domains of application,” writes Google, as if it is the trends that need to do the hard work of localization. 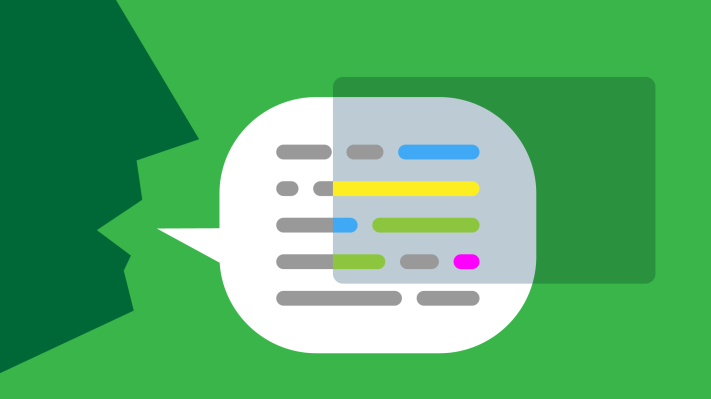 Making speech recognition more responsive, and to have it work offline, is a nice development. But it’s sort of funny considering hardly any of Google’s other products work offline. Are you going to dictate into a shared document while you’re offline? Write an email? Ask for a conversion between liters and cups? You’re going to need a connection for that! Of course this will also be better on slow and spotty connections, but you have to admit it’s a little ironic. Google's new "TF-Replicator" technology is meant to be drop-dead simple distributed computing for AI researchers. A key benefit of the technology can be that it takes dramatically less time to reach benchmark results on standard tasks such as ImageNet. The first rewarded product offering will produce video ads that users can watch to earn virtual goods and in-game currency. KB4482887, released today, enables Google's Retpoline mitigation in the Windows 10 kernel (only for v1809 users). Coinomi wallet bug sends users' secret passphrases to Google's Spellcheck API via HTTP, in plaintext. With the vast majority of workloads still on premise, Google Cloud is focused on bringing the cloud to customers with solutions like GKE On-Prem. It looks like Facebook is not the only one abusing Apple’s system for distributing employee-only apps to sidestep the App Store and collect extensive data on users. Google has been running an app called Screenwise Meter, which bears a strong resemblance to the app distributed by Facebook Research that has now been barred by Apple, TechCrunch has learned. In its app, Google invites users aged 18 and up (or 13 if part of a family group) to download the app by way of a special code and registration process using an Enterprise Certificate. That’s the same type of policy violation that led Apple to shut down Facebook’s similar Research VPN iOS app, which had the knock-on effect of also disabling usage of Facebook’s legitimate employee-only apps — which run on the same Facebook Enterprise Certificate — and making Facebook look very iffy in the process. First launched in 2012, Screenwise lets users earn gift cards for sideloading an Enterprise Certificate-based VPN app that allows Google to monitor and analyze their traffic and data. 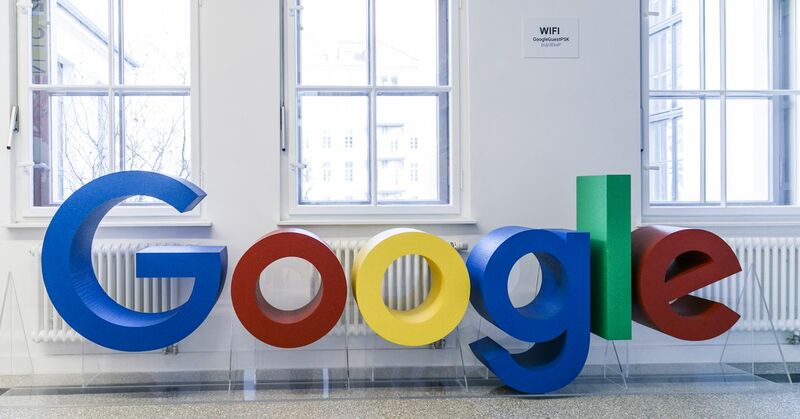 Google has rebranded the program as part of the Cross Media Panel and Google Opinion Rewards programs that reward users for installing tracking systems on their mobile phone, PC web browser, router, and TV. In fact, Google actually sends participants a special router that it can monitor. Unlike Facebook, Google is much more upfront about how its research data collection programs work, what’s collected, and that it’s directly involved. It also gives users the option of “guest mode” for when they don’t want traffic monitored, or someone younger than 13 is using the device. This states, in essence, that the Enterprise Certificate program for distributing apps without the App Store or Apple’s oversight is only for internal employee-only apps. Google walks users through how to install the Enterprise Certificate and VPN on their phone. Developers seeking to do external testing on iOS are supposed to use the TestFlight system that sees apps reviewed and limits their distribution to 10,000 people. We have reached out both to Apple and Google for a comment on why this app is either the same, or different to the app Facebook had been distributing. If Apple considers this a violation of its Enterprise Certificate policy, it could shut down Screenwise’s ability to run on iOS. And if it truly wanted to punish Google like it did Facebook, it could invalidate the certifications for all of Google’s legitimate apps that run using the same certificate. That could throw a wrench into Google’s product development and daily work flow that could be more damaging than just removing one way it gathers competitive intelligence.